Many farmer’s markets have opened in the towns throughout Beaufort County. The Port Royal Farmer’s Market is a favorite Saturday morning destination and is one of many weekly markets offered throughout the Lowcountry. Costra Rota Cheeses – a slice of sheep’s milk cheese with a delicious nutty flavor – for a snack! 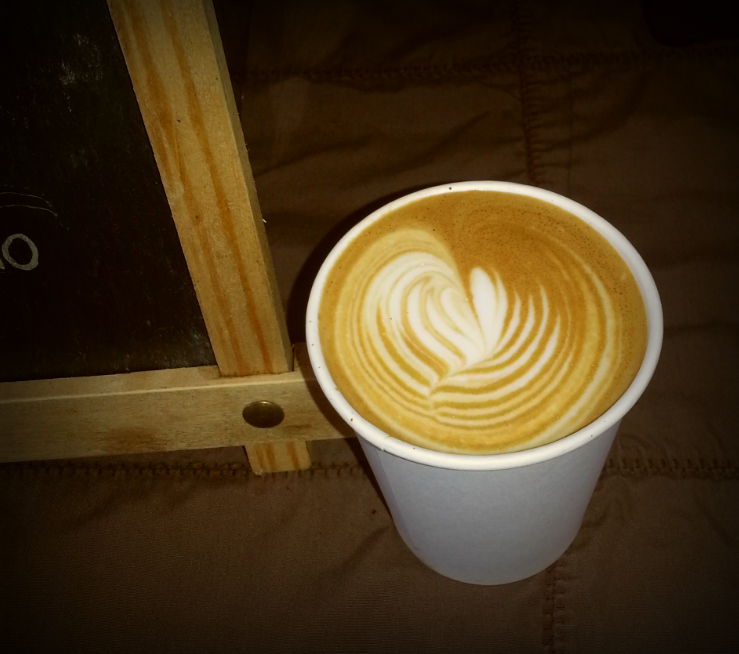 Cup to Cup cappuccino – the best I’ve ever had – and beautiful! Vendors tempt us with many choices that include locally grown organic seasonal fruits and vegies, regional ornamental plant growers, fresh eggs, specialty and locally roasted coffee (the best cappuccino in town), cheeses imported from Spain and Italy, crusty bread, hand pressed Greek olive oil, hand-made pasta and sauces, locally sourced, humanely raised pork, beef and poultry, fresh from the sea shrimp and fish and homemade sweets and treats (including the tastiest kettle corn). 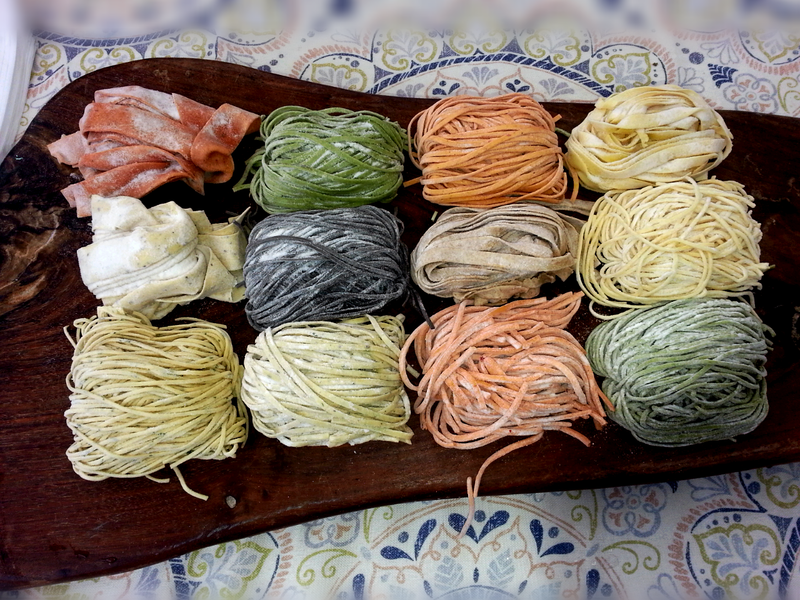 Charleston Pasta Company – I purchased a bundle of sirrachi chili and garlic with cracked pepper pasta – easy to freeze for future use. The popularity of the market continues to attract new vendors and a wider diversity of offerings. Most recently I noticed the addition of a bagel baker, a healthy protein bar producer and an Indian food cart. I admire the entrepreneurial spirit that makes up the farmer’s market and with all that it offers. I’ve decided it would be fun (and a big challenge) to cobble together each month a “farmer’s market meal”. I don’t plan to go with any particular recipe or dinner in mind. Part of the experience will be to find what’s being offered, what’s in season and what strikes my fancy. 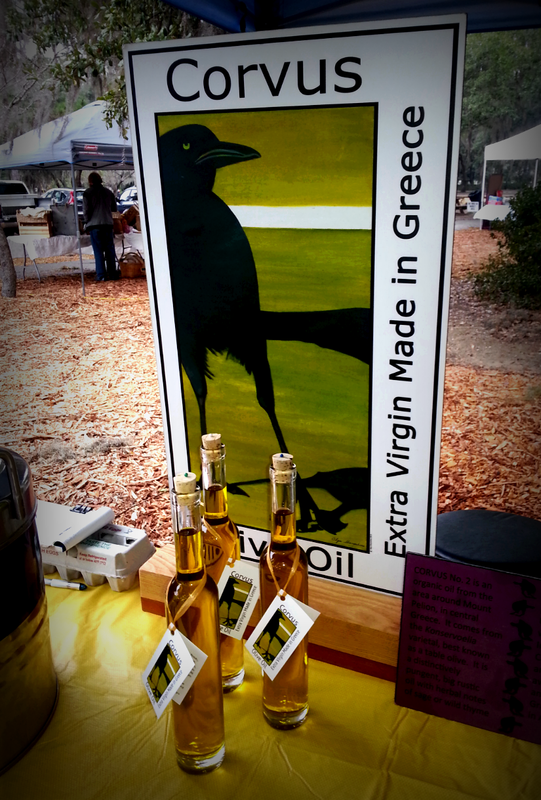 Corvus Olive Oil from Greece – yummy! January was a perfect start for my Farmer’s Market Meals since it marks the beginning of the New Year and is the occasion of my wedding anniversary. 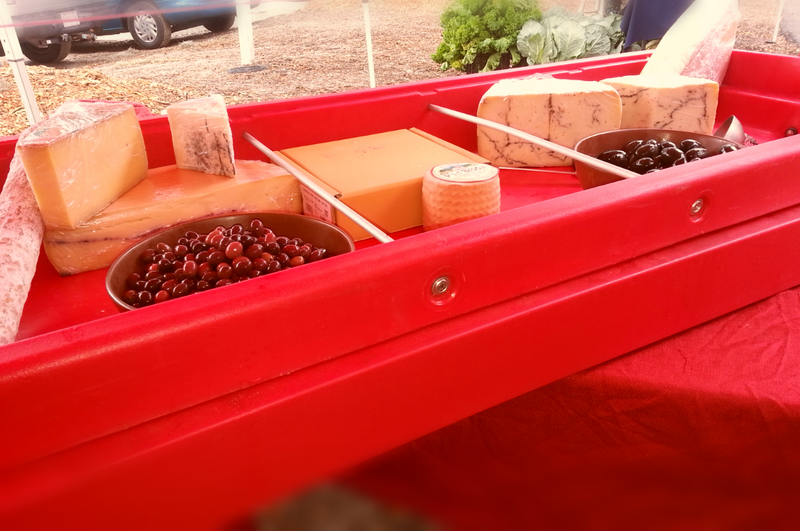 So, on Saturday, January 3rd, with $30 in my pocket I went to the Port Royal Farmer’s Market in search of inspiration. 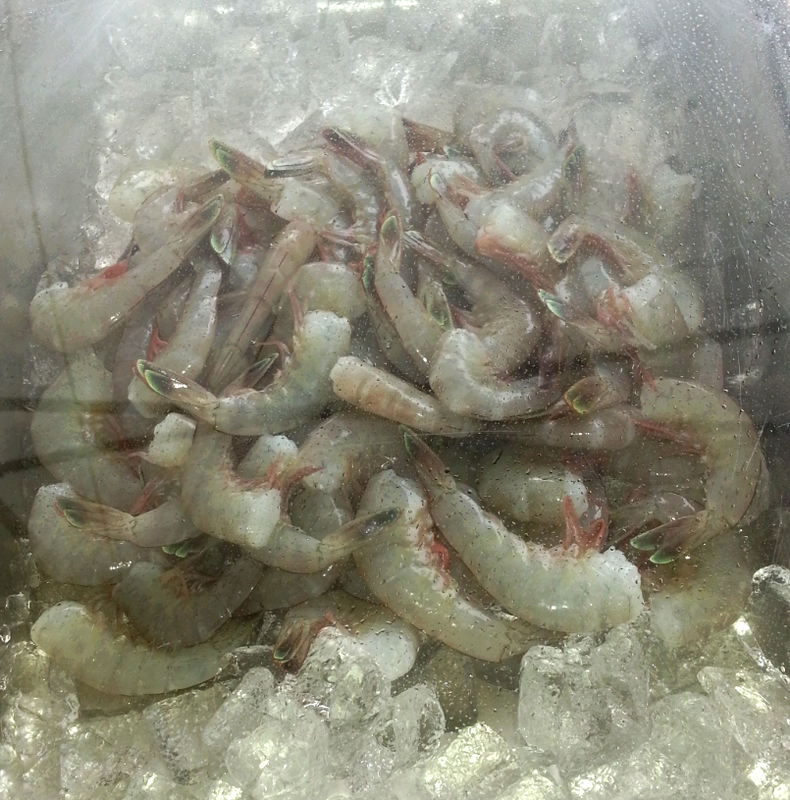 Fresh local shrimp – I roasted them for a delectable dinner treat! 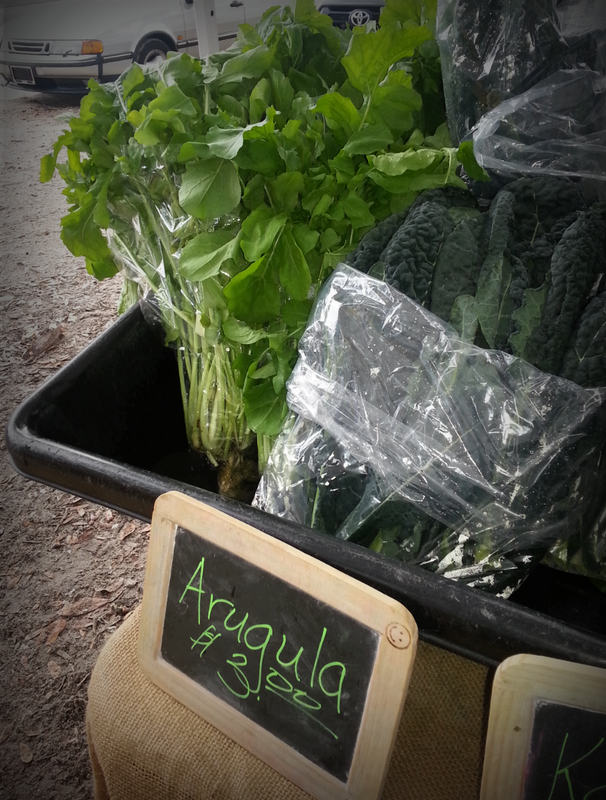 Arugula from Adam’s Farm and Gardens, LLC. Although many of the vendors now accept some form of a smart phone payment I have found it is better to take cash to ensure I don’t overspend. The farmer’s market strikes me as more specialty store than farm store. Sometimes products are a bit more pricey than you might expect. Whether I use cash or credit card I find that the farmer’s market experience is worth the price! The final product! 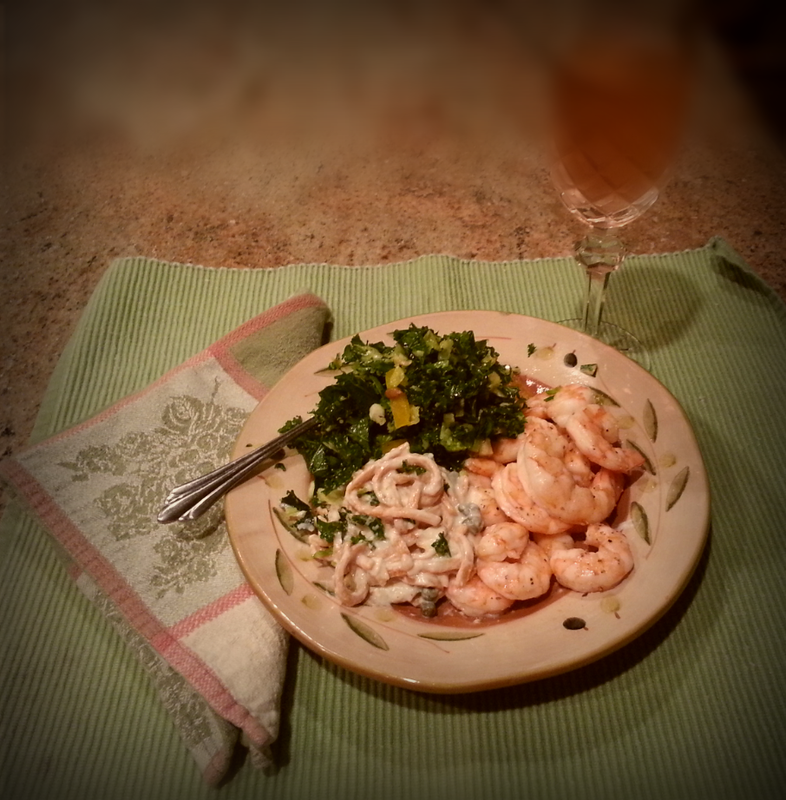 Roasted shrimp, sirrachi pasta with a light alfredo sauce and rubbed kale salad with crystallized ginger and roasted beets. Sandra – this one is really, really excellent. Well written with terrifically professional looking photos. Don, thank you so much for your comment and feedback – it means a lot to me! Good morning! I wanted to stop by in the light of day and not the bleariness of my late night prowls to tell you that I really like the layout of your blog and all your photos. I will definitely be a returning reader. Thank you for your encouragement. My interests also span many topics and sometimes rather than it moving me to post it leads me to paralysis. I need to take your lead and overcome the “fear”!